Hilo, HI (July 12, 2015)– Construction on the Thirty Meter Telescope (TMT)–the world’s most advanced optical technology claimed by officials to have “no connection at all to the military,” contains the most advanced Star Wars capabilities for nuclear supremacy. Worse than defrauding the public, officials have apparently committed treason and sedition according to documents herein revealed. Governor Ige; the mayor of Hawaii County; officials from Canada, China, India, and Japan; the University of California, California Institute of Technology, and the University of Hawaii, have neglected, or purposely concealed, irrefutable evidence that U.S. defense secrets, including TMT’s satellite targeting systems, are being placed at grave risk by China’s “partnership” in the project endangering U.S. National Security. 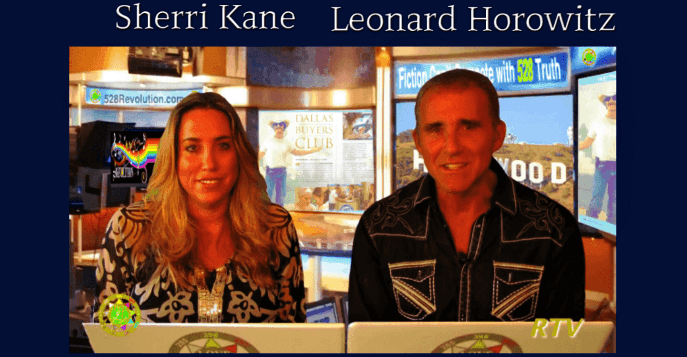 This conspiracy to defraud people amounts to treason on Mauna Kea, and a clear and present danger to America should this program continue and war breaks out between China and the United States, as some officials are now threatening. Mauna Kea is the tallest mountain in the world, considered sacred by native Hawaiians. Beyond being the place where the first light strikes the planet, Mauna Kea is central to prophesy. Hawaiian elders and kahunas honor this outdoor “temple” from which a spiritual “umbilical cord” connecting to earth from the heart of the universe in the “last days” is expected to manifest to secure the ‘Aina (“the land that feeds”). This “temple” is also prophesied to play a key role in restoring the aloha spirit internationally in the “end times.” An energy vortex, that many people claim to feel here, blesses these lands surrounding the TMT construction site. 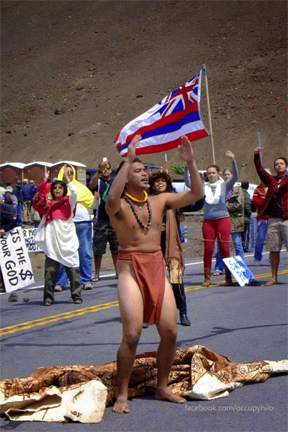 Many native Hawaiians blame their culture’s and the environment’s demise on the “breathless-ones”–spiritless white men called “Ha`ole.” This aboriginal attitude is similar to the Native American proverb, “White men speak with forked tongues.” Some Hawaiians justifiably argue the mindless, soul-suppressed, intruders, virtual slaves to Babylonian-style deceptions, threaten civilization with extinction. 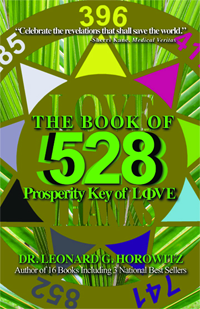 The events recorded here on Hawaii’s Big Island during the past few months are increasingly justifying the harshest critics, as the ancient prophesies appear to be unfolding on time. Their commitment to the ‘Aina justifies their opposition; and many activists are willing to get arrested to support the cause. But the entire debate has been biased from the start by lies and liars, aided-and-abetted by standard psychological warfare operations called “PSYOPS,” administered by the persuasive corporate-controlled media. Propaganda is crucial to winning any war, including this war between people economically and culturally struggling. 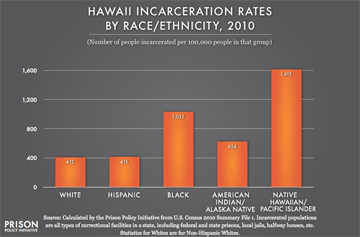 Native Hawaiians are disproportionately jailed by corrupt prosecutors and complicit courts. The “system of injustice” in Hawaii regularly enables land thieves to steal properties under the fallacy of the government’s jurisdictional authority. Officials illegitimately rule over Hawaiian lands, native people, and everyone that gets in the way of “progress” (or the huge drug industry that traffics through Hilo). In this climate of undeclared war, against a people who don’t take drugs, nor orders from uniformed intruders, the manner in which the TMT debate has been framed by the media is consistent with a PSYOPS. In strategic warfare terms, officials have taken “the high ground” with the media’s help. Science advocates here and elsewhere claim they want what was given to ancient Hawaiians–the opportunity to explore uncharted places. Early Hawaiians were great navigators. They explored oceans much like astronomers today seek to discover galaxies with the TMT. Given science’s majority view, anyone opposing TMT, rejecting the idea of exploring the heavens, and advancing knowledge about space, is considered mentally defective. The protestors are generally portrayed and viewed this way. The “high ground” vs. the “low ground” has, thus, been imposed. And this time-tested military strategy of securing the higher ground is expected to produce victory for all commercial investors. This dominance of “science” over “spirituality,” and biased debate, is now compromised by government reports that prove beyond any reasonable doubt that officials lied to everyone. Worse than that, the liars have placed American militarists and peace activists alike in the same sinking ship. In fact, TMT officials representing known and concealed special interests have placed all of America, America’s allies, and America’s economic interests abroad, at grave risk. Officials claiming there are no military interests or warfare applications in this “purely science” project have been caught in more than a white lie. This “consumer fraud” used to sell TMT is treasonous, and will not go over well anywhere in the world, especially here where “scientists” have yet to explain why, only a short distance from the TMT construction site, Lake Wai’au, also considered sacred, is suddenly and woefully disappearing. A bleak omen of worse times to come. The “God’s of science” are hard pressed to explain how or why Pele’ suddenly stopped its 14 mile lava flow last October less than 1/4 mile from the newly built police station serving to secure America’s methamphetamine capital and the vast majority of Hawaii’s $3.5 billion annual illegal marijuana harvest trafficked from Pahoa near the base of Mauna Kea. In the County of Hawaii, there is a huge disparity between righteousness for justice versus hypocrisy favoring organized crime. Here, nearly everyone expects Mayor Billy Kenoi to be exonerated for embezzling more than $31,000 of public funds. And the Tribune Herald‘s and Honolulu Star-Advertiser‘s Canadian owner, The Black Press, ltd, who regularly solicits mail and stories from locals, consistently rejects letters and articles from complainants about the local police and prosecutors now arresting protestors but neglecting white collar criminals. 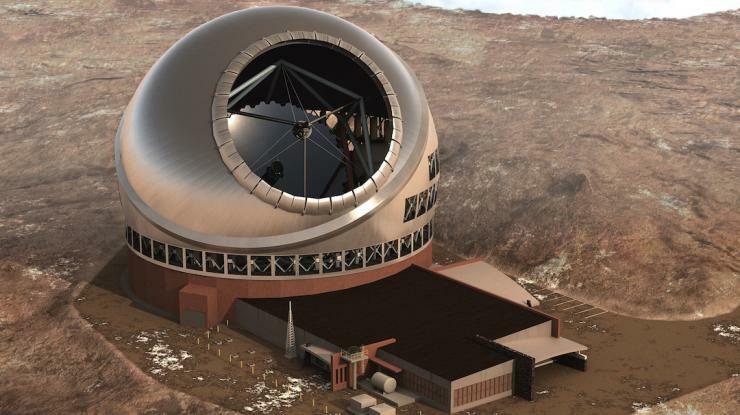 Despite all of these forces dividing and disabling opponents engaged in the propaganda war over their Mauna Kea temple, the public’s perception about the TMT “non-military” project is about to implode. Is the claim of no military connection to this telescope honest, or treasonous? According to University of Hawaii officials, no one presented any viable arguments that the TMT risked people’s health and safety. According to Hawaii Governor Ige, planners spent 7 years investigating and justifying the “non-military” project through open public discussions, all the time misrepresenting the material fact that the U.S. and China both maintain substantial military interests in the TMT, and that the safety and security of the American people is actually at stake if this project moves forward as planned. Pull the telescope apart and you will discover the lies. 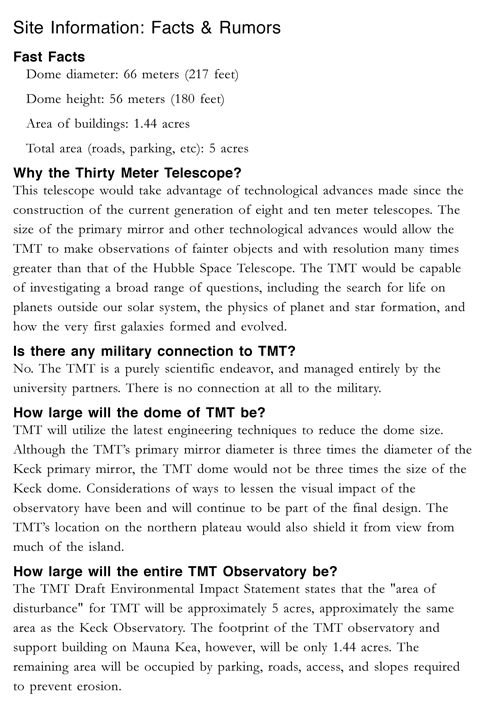 TMT’s main components are certifiably military, and more importantly, their military implications and planned operations are not only apparent, but dooming. At the heart of this military undertaking, this largest ground based telescope in history, is the principle technology called adaptive optics. Advances in adaptive optics are crucial for U.S. and foreign Star Wars activities. According to a Kirtland Air Force Base data sheet, “[f]reedom to maneuver in space is critical to meeting the United States Air Force’s mission to fly, fight, and win in air, space and cyberspace. The ability to exploit the characteristics of space gives the warfighter a competitive edge in virtually all engagements. “Additionally, space allows the United States to watch the entire globe on an almost “real time” basis, getting instantaneous information. To maintain space situational awareness, the Air Force conducts research in laser guide star adaptive optics, beam control, and space object identification. “As satellites get smaller and the number of space objects increases dramatically, research in imaging and identification of space objects is paramount to meeting the Air Force’s mission. “This facility leads the industry changing technology of laser beacon adaptive optics for military uses and civilian applications such as astronomy. 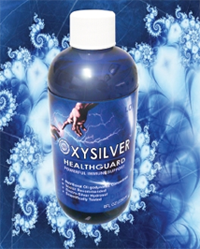 It is a major component of the Air Force Research Laboratory’s Directed Energy Directorate. Adaptive-optics (AO) is cutting edge military science, and the TMT is expected to dramatically out-perform the Air Force’s current AO equipment that compensates for earth’s atmospheric distortions damaging quality imaging. The TMT technology is being deployed to compensate for the earth’s fluid and polluted atmosphere. Otherwise, without this advancement, information gathered can be compromised, even unintelligible, making precise “targeting” impossible. Today, the Air Force fires lasers into space to gather intelligence. Acoustic and light vibrations from space are recorded from distant objects, such as satellites, planets, and the sun. These data distort if lasers, that is, adaptive-optics, are not used. Thus far, “science” has been unable to get this AO technology into space because it is too large, costly, and presents refueling nightmares, and much information was learned from the famous Hubble space telescope that is only 1/10th the size of the TMT. Hubble does not have a problem with atmospheric distortion (or twinkling stars), because Hubble orbits above the atmosphere. But Hubble is also not capable of providing the required military advantage needed against China and Russia that compete with America for dominance in space, experts say. The “space race” is alive and well according to the US Air Force’s fact sheet titled, “STARFIRE OPTICAL RANGE AT KIRTLAND AIR FORCE BASE, NEW MEXICO.” But opponents have repeatedly warned American military officials about the threat of China or Russia getting hold of U.S. military space secrets. Brian Weeden is one such watchman. Weeden serves as the technical adviser to the Secure World Foundation that promotes the peaceful use of space. Weeden, along with many others in the military, oppose high level White House deals giving away America’s military space secrets to China. 60 Minutes covered this matter on April 26, 2015. 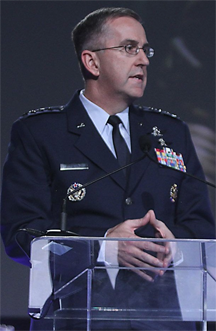 General John Hyten, the head of the Air Force Space Command was recorded saying, “You know, the Chinese are also building a very robust exploration program . . . to explore the stars. They could destroy their entire program by going down the way they are,” implying possible retaliation for threatening America’s leadership and satellite control systems guiding nuclear strikes from space. Now this dangerous race is being run in Hawaii, blocked only by protestors defending the future of the human race, and Mauna Kea’s special destiny therein. According to TMT reports, the advanced adaptive optics system to be built includes as many as nine (9) lasers that will be able to track and target threats to satellites, or threatening satellites, and other faint objects in space such as missiles or debris. The TMT system will be able to adjust instantaneously to not only the atmospheric distortions, and dimly lit objects in space, but also to the earth’s rapid rotation and movement through space. In the past, military mission controllers and astrophysicists would point their telescopes at bright stars to capture base measures with which to compare other observations and data collections. The brighter star data could be used to observe and measure the distortion of the light piercing the atmosphere; and with that intelligence, corrections could be made to view and position comparable stars or satellites. This way, weapons systems could target satellites most accurately, enabling enemies using this adaptive-optic technology to destroy satellites used for everything from telecommunications to guiding nuclear weapons. Simply explaining this technology, the TMT’s laser beams are able to produce a “point star,” or a group of “guide stars” called “asterisms.” These laser images, coupled with the adaptive optics, will increase the accuracy of measuring the light and sound signals (i.e., photons and phonons) returning from the guide stars or asterism(s). Mirrors in the TMT are designed to adjust in nanoseconds to capture the clearest images possible, and track most precisely where targets are expected to be at the time of impact. 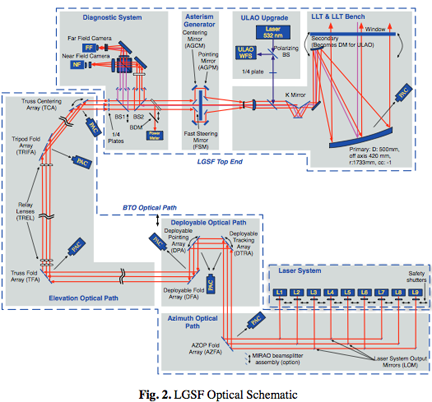 Certifying the military’s signature on this technology, one of the three TMT subsystems involved in the AO system is called the “Near Field Infra Red Adaptive Optics System, or “NFIRAOS,” produced by Lincoln Labs at MIT, a strictly military agency associated with Hanscom Air Force Base in Lexington, Massachusetts. To give you some appreciation for the advanced technology Lincoln Labs produced for the Air Force and the TMT application, a major component of NFIRAOS is called a “CCD,” short for Charged Couple Device used in imaging. 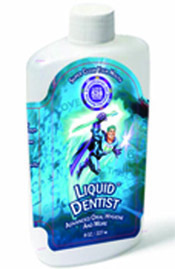 These CCDs are made of silicone, and the silicone crystals are grown at great expense to produce this equipment. The higher imaging capabilities, the more expensive the CCDs. Better quality CCDs were produced capturing images at 160 x 160 pixels. These were fabricated and tested under an AODP grant at Lincoln Labs. The National Science Foundation also gave Lincoln Labs a grant to do this work. But the new CCDs planned for use in the TMT’s NFIRAOS produce 256 x 256 pixels. These “full capacity CCDs” are far more powerful than what has been used commercially, or previously by the military. Images from NFIRAOS, and these highest optical quality CCDs produced at Lincoln Labs in Cambridge, Massachusetts, are incredibly sharp, as required for advanced Star Wars applications, to purportedly protect U.S. National Security. There are many critics in both civilian and military communities who would argue that even though TMT officials lied to us, America still needs this project. But it is unreasonable to continue the TMT enterprise with China as a 25% partner. China’s National Astronomical Observatories of the Chinese Academy of Sciences (NAOC) are contracted with Chinese special interests on military assignments. It is unrealistic to believe that China would not use their TMT share militarily. China’s lunar mission, for instance, is headed by SASTIND (State Administration of Science, Technology and Industry for National Defence). The primary contractor for that project is CAST (China Academy of Space Technology) of the China Aerospace Science & Technology Corporation (CASC). CAST, in turn, is under contract with the Shanghai Aerospace System Engineering Institute. In addition, the Chinese Institute of High Energy Physics (IGEP) evolved from the former Chinese Institute of Atomic Energy responsible for the exploiting atomic energy for military and industrial purposes. Access to TMT, and related technology, gives China the ability to literally destroy America’s nuclear strength. This is America’s Achilles heal, according to many experts. Last week, Hillary Rodham Clinton, campaigning for the presidency, accused China of stealing America’s trade secrets and government information. The former first lady and Secretary of State’s comments centered on widely reported Chinese hacking jeopardizing U.S. National Security. Could it be that among China’s “secured interests” granted by the Obama administration is their partnership in the TMT? That is most probable. And if such a deal was struck, these covert actions violate a number of laws, beginning with 18 U.S. Code § 957. If American officials secretly and illegally conspired to give possession of Hawaiian property away to aid and repay China, officials require jail time. Speak to Hawaiians appalled by America’s armed insurrection against Queen Liliuokalani, and now continuing an illegal military occupation of the Hawaiian Kingdom in violation of treaties and laws of nations, and you will see why justice demands Section 957 law enforcement. The central issue in bringing officials to justice for lying to We The People to conceal a secret deal with China resulting in the TMT partnership and compromised National Security is a matter for the President. It is now up to Hawaii’s purported native son, Barack Obama, to fulfill his duty to American citizens, Hawaiian citizens, and to world peace, by ruling on these matters. To help, the definition of enemy is crucial in this adjudicative undertaking. The President needs to decide who orchestrated the TMT deal with China, now threatening to damage We The People. “The years have not destroyed nor diminished the importance of citizenship nor have they sapped the vitality of a citizen’s claims upon his government for protection,” ruled the Supreme Court of the United States in 1950. In other words, it is President Obama’s duty at this time of threatened National Security, evidenced by acts of fraud and fraudulent concealments in Hawaii regarding the TMT, impacting America’s space based weaponry and national defense, to serve justice to those who sold or traded-away America’s AO intelligence. Who has destabilized our nuclear interests in space. Who has invited foreign “scientists” dutifully serving their sovereign Chinese government, to the AO table. And what agents and agencies are responsible for leasing or controlling lands illegally confiscated from Hawaiian nationals in violation of human rights and international treaties, in efforts to share Star Wars secrets with a threatening nation. Considering the force used by lying officials manipulating the complicit media to administer propaganda, and the PSYOPS needed to conceal these crimes and Star Wars deceptions, those guilty must also be charged with sedition under 18 U.S. Code § 2384. 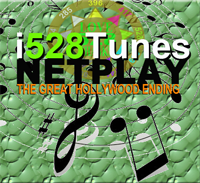 The eyes of the world are now watching this crime unfold. Click HERE to sign up for our free newsletters.